'Who Gets What': Putting A Price On Human Tragedy When a tragedy like Sept. 11 strikes, shock quickly gives way to blame. And when it's time to figure out if victims should be compensated, Kenneth Feinberg's phone rings. The attorney has built a career out of overseeing compensation funds and determining who deserves payment. When a tragedy like the Sept. 11 attacks or the Virginia Tech shooting strikes, shock and grief quickly give way to blame. And when it's time to figure out if and how victims should be compensated, lawyer Kenneth Feinberg's phone rings. Over the past three decades, Feinberg has developed a unique specialty: overseeing compensation funds by doing the difficult, often contentious and politically charged work of figuring out who deserves payment — and often, how much they will receive. Starting with the Agent Orange settlement of 1984, Feinberg has served as special master for numerous high-profile compensation cases, including the fund for victims of the Virginia Tech shooting, the Sept. 11 Victim Compensation Fund, claims disbursement in the wake of the BP oil spill, and many more. In Who Gets What: Fair Compensation After Tragedy and Financial Upheaval, Feinberg shares experiences from his long career. He talks with NPR's Neal Conan about the book, and the political and personal pressures of putting a price on human life after a tragic event. "Nobody ever said it was fair. One word that is never used in the work that I do is 'fair.' You don't expect victims — claimants — to talk about fairness after they've lost somebody or suffered horrible, horrible loss." "That is the single most difficult aspect of what I do. It's not the calculations. It's not cutting the checks. The most difficult part of all of these assignments is sitting in a room with the victim's family, inviting them to vent about life's unfairness. "[Family members] rarely discuss money. Almost always, they want to discuss the memory of the lost loved one. "And that opportunity — to express, to disclaim — very, very important to the success of voluntarily signing up for the programs." "[But in the case of Virginia Tech], we did compensate. But we made some rules, because we only had a limited amount of money. If you want to recover a check compensation for mental anguish, you have to have been a student in the Norris Hall classrooms where everybody else was killed and murdered. 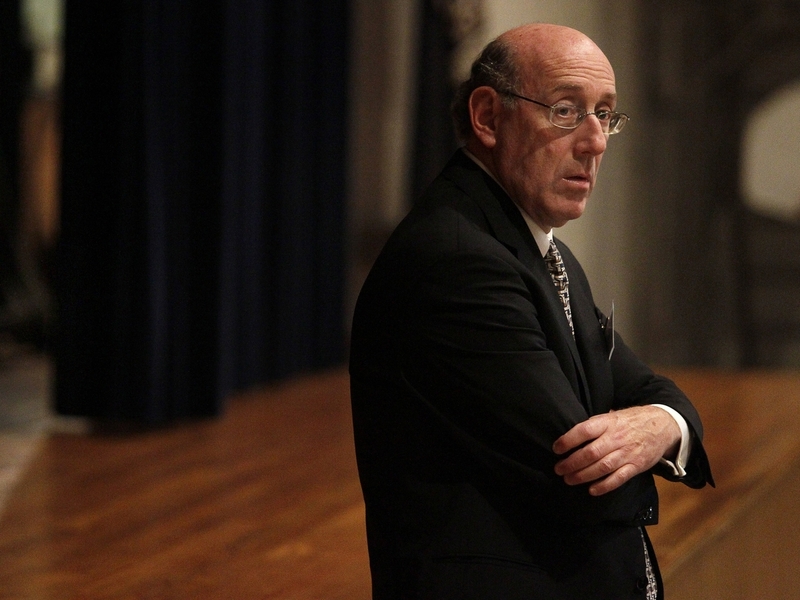 Attorney Kenneth Feinberg has been administering special compensation funds for three decades. "Any other student on campus wasn't in the room [and who] watched from the dorm or on television, we gave them free university-related mental counseling. Help — mental help — but not a check." "It was a very, very thorny problem. No individual Vietnam veteran could prove that his malady, his illness — cancer, respiratory injuries, chloracne [a skin condition] — no one could prove as a matter of law that their injury was caused by Agent Orange. They might have got those diseases in any event. "Instead, human nature, the brotherhood of the military [prevailed]. 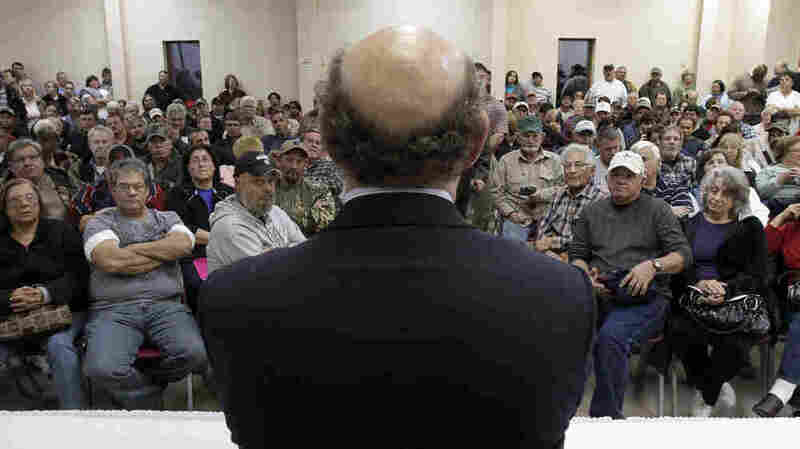 They all virtually said, 'Give the money to ... the Vietnam veterans most in need of the money. Don't worry about me.' "
This is TALK OF THE NATION. I'm Neal Conan from the Aspen Ideas Festival. After terrorists smashed planes into buildings, after a suicidal gunman murdered students and instructors on a bucolic campus, after millions of gallons of oil gushed into the Gulf of Mexico, after shock gave way to grief and anger and blame, Kenneth Feinberg's phone rang, and he got the job of figuring out how to compensate the victims. Starting with the Agent Orange settlement in 1984, he's developed a unique specialty: the difficult, often contentious and politically charged work of figuring out who gets what. If you've ever received restitution, we want to hear from you. Was the process fair? 800-989-8255. Email talk@npr.org. You can also join the conversation from our website. That's at npr.org. And we'll get questions from the audience here in the ballroom at the Hotel Jerome in Aspen. Later in the program, an update on the fire that's forced tens of thousands to evacuate their home in Colorado Springs, and we'll remember Nora Ephron. But first, Kenneth Feinberg joins us here onstage at the Hotel Jerome. He's written about his experiences as the special master overseeing victim compensation funds in a new book, "Who Gets What." And Ken, nice to have you back on TALK OF THE NATION. KENNETH FEINBERG: Glad to be back. CONAN: And among the many interesting questions you ask in this book is when this kind of compensation happens, and it does, and I'm just going to quote a little bit from your book: There was no 9/11-type fund for victims of the Oklahoma City terrorist attack, the suicide attack directed at the USS Cole in Yemen, or for those who died in the original 1993 attack at the World Trade Center. Congress fell silent when it came to considering compensation for the victims of Hurricane Katrina in 2005 or the tornadoes that ravaged Tuscaloosa, Alabama and Joplin, Missouri in 2011. It raises the fundamental question of fairness. FEINBERG: That's why I say in the book that these programs are exceedingly rare and should remain very rare because it raises equal protection of the law questions. The emails I received during my 9/11 tenure: Mr. Feinberg, my son died in Oklahoma City. Where's my check? Mr. Feinberg, I don't get it; my daughter died in the basement of the World Trade Center in the original 1993 attacks. How come I'm not eligible? It is a rare situation when Congress or policymakers decide just for these people, special compensation, even though bad things happen to good people every day in this country. CONAN: You raise an interesting point about the 9/11 fund. You describe it as vengeful philanthropy. I've never heard that phrase before. FEINBERG: That was a phrase coined actually by Jack Rosenthal of the New York Times. And what it means is that the American people wanted to demonstrate to the terrorists, to the nations harboring terrorists, to the world: We take care of our own; in times of great national tragedy we rise to the fore, we are one community, we are at one with the victims. And that's the only real way, I think, to justify the 9/11 fund - from the perspective of the American people, not from the perspective of the victims. CONAN: Yet you also point out the purpose of that compensation - not just to demonstrate those things, which is true enough, but to avoid lawsuits. FEINBERG: That's right. Congress was warned by the airline industry that if you don't do something, if you don't think out of the box and create a special program to compensate the victims, we will be inundated with lawsuits against the World Trade Center, the airlines, the airline manufacturer. And it doesn't matter whether we can win those suits or not. The mere fact that we're sued on the front pages all over the world will chill people from flying, passengers, and that will be the end of the airline industry. So there was a very practical purpose as well. CONAN: And in the end, the amounts paid out averaged about $2 million for those who were killed, to the families of those who were killed, yet because Congress stipulated in the law it passed that you had to use tort law, this was in fact - in an attempt to prevent lawsuits - there was that problem you faced as the administrator of the fund, the overseer, of, well, the accountant makes - gets more in compensation that then hero firefighter or indeed the waiter at the Windows on the World. FEINBERG: Imagine. I mean imagine when you meet people emotionally in grief over this: Mr. Feinberg, I don't get it. You're paying $3 million to the banker's widower, a banker who worked for Enron, and my husband, the fireman, you're giving $2 million. Why are you demeaning the memory of my husband? He died a hero. Now, when you try and explain to people the law, we're trying to entice the banker's family not to sue, we're trying to entice the fireman's widow not to sue, you can't give everybody the same, you have to reflect tort law - you try explaining that to a widow in grief. It was very difficult. CONAN: We want to hear from people in the audience today who have been compensated. And whatever circumstances, was the process fair? 800-989-8255. Email us, talk@npr.org. But in addition to explaining these processes, as interesting as those are, it seems to me the most interesting part of the book is the lessons you've derived about human nature. FEINBERG: A hundred and eighty million. CONAN: A hundred eight million dollars. Nevertheless, it sounds like a lot of money, but how do you then divide that up amongst all the victims? FEINBERG: And it was a very, very thorny problem. No individual Vietnam veteran could prove that his malady, his illness - cancer, respiratory injuries, chloracne, a skin condition - no one could prove as a matter of law that their injury was caused by Agent Orange. They might have got those diseases in any event. So we had to figure out what is a good formula to be used in distributing the money, and a very creative, brilliant judge, Jack Weinstein in the Eastern District of Brooklyn - Brooklyn, New York - we worked out this formula by asking the Vietnam veterans themselves: How would you like to see the money distributed? CONAN: And a lot of people expected people to come up and say send me a big check. FEINBERG: And nobody did that. Virtually no Vietnam veteran said I don't care how you distribute it, just make sure I get mine. Instead, human nature, the brotherhood of the military, they all virtually said give the money to most - the Vietnam veterans most in need of the money. Don't worry about me. You talk about human nature - you learn every day in these programs about human nature. CONAN: And that takes us to the Virginia Tech fund, and this was a fascinating example, you didn't have a court involved as you did in Agent Orange, you didn't have the Congress involved as you did in 9/11. These were voluntary contributions to Virginia Tech to compensate the victims after the shooting. And the question being: Do you restrict the uses of that money to prevent people from taking a compensation check and using it to hire a lawyer to sue Virginia Tech? FEINBERG: This was a fascinating exercise again. The university at first said to me: Ken, don't you think we should take the seven or eight million dollars that's been pouring into the university, unsolicited contributions from people who were just upset by what they heard and saw - shouldn't we put that money into scholarships for each of the dead? And I said: Don't you begin to try and determine what a family who lost a loved one at Virginia Tech wants that money used for. Give the money to the family and let the family use that money any way they want. CONAN: Even if they decide to use it to go to Disneyland. FEINBERG: One family, what one member of the university said, well, we think one family will celebrate or remember a lost daughter by taking the rest of the family to Disneyworld with the money. And my response was, I learned from 9/11 and Agent Orange: Let them. Let them do - who are you to tell them how the money will be directed? And the university wisely came around to that way of thinking, the money was distributed, and there were only two lawsuits, only two that arose out of the entire Virginia Tech murders. CONAN: Because, I think, in part you concluded people thought the process was fair and got the chance to speak directly to the person administering the fund and vent their concerns and indeed remember their loved ones. FEINBERG: That is the single most difficult aspect of what I do. It's not the calculations. It's not cutting the checks. The most difficult part of all of these assignments is sitting in a room with the victim's family, inviting them to vent about life's unfairness. And they rarely discuss money. Almost always they want to discuss the memory of the lost loved one. They come in with videotapes of weddings years ago, just to demonstrate that we're at one with somebody who died as a result of the tragedy. CONAN: And this goes back again to Jack Weinstein, the federal judge, listening to those Vietnam veterans in hearings around the country and the lessons you drew(ph) from that. FEINBERG: He taught me a valuable lesson. When you set up these programs, if you can do it, give every claimant the right to be heard. Let the claimant vent, vent about why me, why the loss of my brother, why the loss of my wife or my husband. They were angels. Those murderers. There is no God. There can't be a God that would allow something like this. And that opportunity to express, to disclaim - very, very important to the success of voluntarily signing up for the programs. CONAN: There are, of course, then those programs where it's not possible to meet with everybody because the claimant group is too large. We'll talk more about the BP oil spill and other cases when we get back. We also want to hear from those of you in the audience who have received some form of compensation for something terrible that happened. Was the process fair? 800-989-8255. Email us talk@npr.org. Our guest is Kenneth Feinberg, his new book "Who Gets What: Fair Compensation After Tragedy and Financial Upheaval." Stay with us. From the Aspen Ideas Festival, I'm Neal Conan. It's the TALK OF THE NATION from NPR News. CONAN: This is TALK OF THE NATION from NPR News; I'm Neal Conan at the Aspen Ideas Festival. Our guest today, Kenneth Feinberg, best known for serving as special master of the September 11 Victim Compensation Fund. He's overseen a number of similar funds over the years, often asked to work with families to put a dollar value on human life. He writes about those experiences and the many difficult questions he's faced in his new book "Who Gets What: Fair Compensation After Tragedy and Financial Upheaval." You can read more about why he says these compensation programs should remain rare. that's in an excerpt at our website. That's at npr.org. If you've ever received restitution, we want to hear from you. Was the process fair? 800-989-8255. Email talk@npr.org. We'll also get questions from the audience here at the Grand Ballroom of the Hotel Jerome in Aspen. But let's start with the phones, and we'll go to Jean(ph), and Jean's on the line with us from Verona in Virginia. JEAN: My question is: Some of us who served in Vietnam were not in the military, we were civilians. I was with the American Red Cross. There were civilian nurses, USO, et cetera. I can't speak for anybody but SRAO. The nickname for us was doughnut dollies. We flew out to the men in the field. We visited them in hospitals. We were on the road or in the skies for quite a while for that entire year. But we have no - for those of us who have - well, I have Parkinson's. There are four women that I know of, of the 627 who served in that program, that also have Parkinson's, but we can't even apply for compensation because we were civilians. FEINBERG: Two answers to that. First, you're absolutely right. The Agent Orange settlement, payment program, was limited by law to veterans, women and men, but that you had to serve in the military. That program has been terminated, was dissolved about, oh, 20 years ago. So the only other remedy today for veterans is the Veterans Administration for medical care. I don't know of any available program, official program, Agent Orange program to assist civilians. CONAN: Jean, thanks very much, we hope - the Parkinson's isn't too bad for you. JEAN: So far so good, thank you. CONAN: Good luck. It's the same question that a lot of us had, the so-called Gulf War Syndrome. After the first Gulf War, a lot of us were there as civilians, as correspondents in our case, and nobody looked into our cases. In any case, let's get a question from the microphone here in Aspen. HEIDI: Hi, I think I heard you say that the most difficult part of your job is to listen to the families and that that's also the most important part of your job. What do you actually say to them? You know, what do you say back to them, to a family like that? FEINBERG: You know, the simple answer is you listen. You let them vent. I learned some valuable lessons about what not to say, I'll tell you that. In 9/11, I made the terrible blunder during a hearing of telling a father who lost a daughter I know how you feel. And he looked at me, and he said: Mr. Feinberg, you're trying to do your best. Don't you ever tell me you know how I feel. You have no idea how I feel in losing my daughter. So the most I told people when I listened to them is I would - I wish I could do more. I can't bring your daughter back. I can't - you say you'd rather replace, you'd rather take your daughter's place at the World Trade Center. I haven't got that power. All I can do, and it's not much, is try and demonstrate your country's desire to help you through compensation, financial certainty. Other than that, life is unfair, and I wish I could do more. There's very little you can say three or four or five months after a tragedy to try and ameliorate the rawness and the damage of families that lost loved ones. You're really held hostage to their venting on that. CONAN: Thanks for the question, Heidi(ph). Let's go next to Tony(ph), Tony with us on the line from St. Louis. TONY: Good day. I was wondering how the fact that so many of the victims on 9/11 were non-Americans, how that factored into your job. I assume it made it more difficult. Thank you. FEINBERG: That's a great question. Under the law creating the 9/11 fund, everybody who died or physically injured was eligible. You could be a foreigner from a foreign country, and there were 65. You could be an undocumented alien, an undocumented worker, you were eligible. But the caller is absolutely correct. Getting those people to file a claim took a great deal of work. If you said to an undocumented worker's widow from the Windows of the World at the World Trade Center file a claim: No, you'll deport me. You'll send me back to another country. You'll put me in jail. You'll take away my children. You'll impose criminal penalties. And we explained that's not the case. We will not punish you. This is compensation. You can keep it. There will be no fallout from your doing this. Finally we got them all to accept the money. Foreign claimants thought it was a CIA trick: You're giving me $2 million for the death of my daughter at the Pentagon, and I live here in Norway? There's got to be - what's the catch? Eventually those people all came into the fund. CONAN: There was an interesting exception, though: psychological suffering, mental anguish. That was not covered whatsoever. FEINBERG: The statute prohibited it. The statute said that if you died on 9/11 or if you suffered a physical injury, you could be compensated. If you suffered purely mental trauma from the 9/11 attacks, you're ineligible. Congress was concerned that if mental trauma was eligible, you might get five million people who watched it on CNN or listened on NPR calling in saying I was listening to Neal on Talk of the Town, some of these stories, Neal, I can't get out of bed as a result of Talk of the Town, so pay me. Congress carved out any mental anguish or mental injury. CONAN: And then again, going to the UVA case, where you were outside of the constricts left on you by Congress in 9/11, again you faced the question of there were terrible things that happened, people saw terrible things up close or on TV. How do you compensate them? FEINBERG: There we did compensate, but we made some rules because we only had a limited amount of money. If you want to recover a check compensation for mental anguish, you have to have been a student in the Norris Hall classrooms where everybody else was killed and murdered. If you - one young student came to see me, the only reason I escaped, Mr. Feinberg, is the student to my left was shot dead in front of me, the student to my right was shot dead in front of me. The murderer, the deranged gunman, pointed the gun at me, click, no bullets. While he reloaded, I jumped out a window and escaped. But I can't get out of bed. We paid her. Any other student on campus wasn't in the room, watched from the dorm or on television, we gave them free university-related mental counseling, help, mental help but not a check. CONAN: Let's see if we can get another caller in on the conversation, this is Jim(ph), Jim with us from Grant's Pass in Oregon. CONAN: Go ahead, you're on the air. JIM: About four years ago, I had a motorcycle accident, and it was caused by earlier in the day, I had gone to the oil change place, they changed the oil in my motorcycle, they did not tighten the drain plug. So a couple hours later, I was rounding a curve on the highway, the drain plug vibrated out, and I crashed, spending two days in the hospital and having $32,000 in medical bills. So I put an extensive case together, a three-ring binder, four-inch thick with photos and testimony and documentation, and I went to an attorney, and I said: I am not going to hire you to take my case if this goes to court, but I want you to tell me what you think my injuries are worth. And he listened to my story, told me $150,000 is what a court would likely give you. And so I - ultimately, I ended up settling with the oil company, the oil change company, the insurance company for $110,000, which is about a third less than what he told me, which he would have taken in attorney's fee to go to court. So I was very happy with the process. It took about four to six months to get that resolved from the time of the accident, and I didn't have to go through a trial. So I think it was a good thing. CONAN: Which, Kenneth Feinberg, as you point out in the book, these kinds of decisions are made in dozens of places across the country every single day of the week. FEINBERG: Every day in every court, in every city, village, hamlet, New York, Washington, Aspen, courts deal with motorcycle accidents, automobiles, people fall off ladders. The tort system has been in place in this country from the founding of the republic. It's here to stay. What I do with these special programs, very, very rare, aberrational, and they better remain rare for the reasons this gentleman caller says, you know, he was in an accident. No one gave him a million dollars tax-free. He went to court, got the case settled, walked away. That's the legal system, and that's the way - notwithstanding my book, that's the way almost all disputes - injuries, deaths - are resolved in this country. CONAN: Jim, I'm glad it all worked out for you. JIM: Yeah, yeah. But I'm healthy and, you know, I golf, and so I'm in good shape after it all. Thank you. CONAN: Here's an email we have from Patrick in Cheyenne, Wyoming: When the Gulf Coast was polluted by BP an accident, all stops were pulled out to ensure that they were compensated. When the financial system was polluted by the banks and the lack of government control, not only was there no compensation, but many of us, like me, are paying the polluter through bankruptcy to compensate them for their loss. So, no, it is not fair. FEINBERG: Nobody ever said it was fair. One word that is never used in the work that I do is fair. You don't expect victims, claimants to talk about fairness after they've lost somebody or suffered horrible, horrible loss. In the pay czar situation, Congress concluded that it had no choice but to provide taxpayer financial assistance to keep those banks, those companies in business. FEINBERG: Too big to fail. CONAN: ...to use an unfortunate phrase, and you were the so-called pay czar. FEINBERG: That's correct. And Congress passed a law saying, well, if we had to bail out some of those institutions like Citigroup, AIG, Bank of America, we're going to get some populist revenge. We're going to have the secretary of the Treasury, who delegated the responsibility to me, to actually fix their pay. The government will determine who will - what they'll get compensated. And that was one of the assignments I took on. CONAN: Let's go next to - this is Shane, and Shane's calling us from Birmingham. SHANE: Yes, sir. How are you doing? SHANE: I'm a Corexit victim of the oil spill, Deepwater Horizon. And I went through the Feinberg. I don't know exactly what it's called, but I was denied in the Feinberg. And then it was just a process, and I was denied because the - you know, I couldn't really get a doctor or a toxicologist to state that it was an oil spill injury. But my injuries consisted of skin - I'm sorry, skin diseases. I had hives, and I had burn victim-like rashes all over my body for over a year and a half. And when I went - are you familiar with Corexit in oil spill? FEINBERG: Very familiar with it, and you now have a remedy. To the extent that the Gulf Coast claims facility denied your claim, as you know in this new national settlement that's just been reached in the last few months in New Orleans, they are now accepting applications for physical injury. Now I don't know if you'll have a valid claim or not, but you now have an additional avenue to pursue in an effort to get your claim evaluated and, if appropriate, paid. So you're not without a remedy as we speak. CONAN: Have you investigated this new avenue after the settlement? SHANE: You know, I just - I'm doing a process. I'm not mad at the world. I feel like it's - there's a lot of people out there feeling like it was done out of purpose. I'm not - you know, I'm one that believes that it was done on accident. I was a poor soul that went on vacation, and that's a lot of my problems is. I live 300 miles from the beach. I actually got Corexit poisoning while I was on vacation for a week. CONAN: Shane - I don't mean to cut you off, Shane, but I have to wish you the best of luck. And you may want to pursue that avenue. SHANE: OK. Well, I appreciate it. I was just saying - I was just wondering how you felt about, you know, denying the claim. CONAN: OK. Thanks very much for the phone call. You're listening to TALK OF THE NATION from NPR News. And that's the BP circumstance. That was the circumstance we alluded to earlier. So many victims, you could not listen to them all except in town hall meetings, which, eventually, you found counterproductive. FEINBERG: That's right. Unlike any other program I've been involved in, the BP oil spill - when BP announced to the world $20 billion will be made available, I received, in 18 months, 1.2 million claims from 50 states - I think we got 20 from Colorado - 35 foreign countries, and there was no way you could give everybody a hearing when you have claims of that volume. CONAN: Kenneth Feinberg, thank you so much for your time today. We appreciate it. 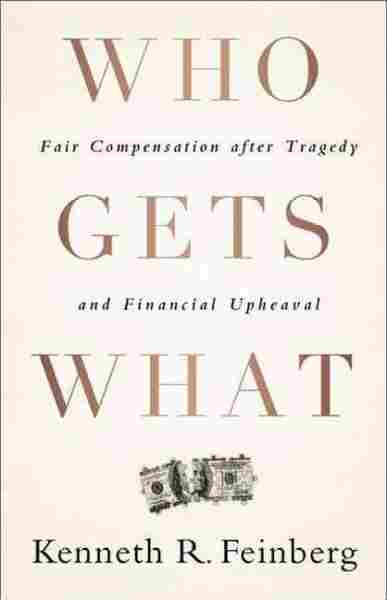 The new book is "Who Gets What: Fair Compensation After Tragedy and Financial Upheaval." He joined us here at the grand ballroom of the Hotel Jerome at the Aspen Ideas Festival. Appreciate it. CONAN: When we come back, an update on the fire lines from Colorado Springs, what one official called a firestorm of epic proportions. If you're in that area, call us now and tell us what it's like where you are. 800-989-8255. Email: talk@npr.org. Stay with us. It's the TALK OF THE NATION from NPR News.